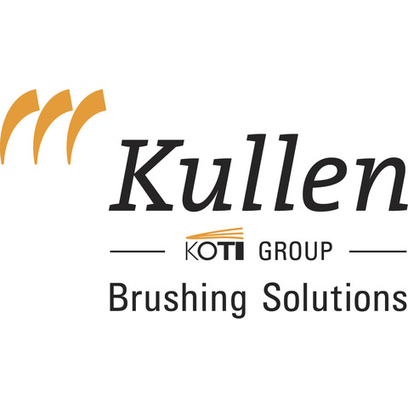 KULLEN-KOTI GmbH has over one hundred years of expertise in the technical brush segment, and this extraordinary background shines through in its latest spiral roller brushes. Technical brushes from KULLEN-KOTI GmbH are used in a wide range of applications and sectors, including wood processing and furniture making. Whether structuring and smoothing wood surfaces, handling delicate finished parts or cleaning machinery and surfaces - this global company based in Reutlingen has the right brush system for virtually any task. And if you can’t find a standard system in its portfolio to suit your needs, KULLEN-KOTI will develop an application- and customer-specific solution to fill that gap, which is one of its greatest strengths. Visitors to LIGNA 2017 in Hannover recently had the opportunity to see for themselves what state-of-the-art brush products can do and check out the development credentials of the company first hand. One of the latest developments to emerge from the team at KULLEN-KOTI is a range of spiral roller brushes designed to operate at high speeds and provide a long service life, particularly in industrial applications. They can be used on anything from metal and concrete to wood and will deburr or structure anything that finds itself under their bristles. Like many other products from KULLEN-KOTI, the spiral roller brushes can also be customized. Indeed, this inherent versatility when it comes to designing spiral roller brushes opens up virtually unlimited possibilities for meeting specific customer requirements. Whether with a compressed surface or with pitched coils, single banded or double banded - the experts at KULLEN-KOTI take into account the entire process, with a driving ambition to find the ideal solution for the task at hand.